COMPANY / JOB / OCCUPATION Site Specific Safety and Health Program Manuals. Download Your Customized Manual Today. Editable MS WORD. Very Affordable. 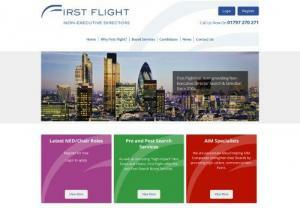 The UK's only executive recruitment firm focusing on non-executive roles. Link Staffing Services in Katy Texas is a trusted resource for companies to provide temporary staffing, permanent placement and qualified employees to industries. Click or call (281) 347-5465 for more! SkillDostijobs is a platform for people who think different and dream big to build a career in the creative sectors. Hire Programmers deals with the Quality Freelance Project Management which was a Programmer or a Employee who leads projects on behalf of client organizations. Some freelancers work completely independently, and others find work through Consultants and other Resources. NCW helps their clients save time and money by hiring reliable, experienced staff for any of their workforce needs. NCW meeting their clients hiring needs with contract staffing, contract-to-hire. And outsource payroll. Is your sofa torn or worn out? Don't worry! You don't have to dispose it. Cotton Ware sofa re-upholstery has come to your aid. We are experts at turning shabby chairs and sofa to look as if you bought them. Bally Chohan Job Portal is a job search engine promoted by Baljinder Chohan which helps job seeker to find jobs easily and help recruiters to find genuine candidates. I Mates Consultants is a leading recruitment firm for Banking, Retail, Insurance, FMCG, Consumer Durable and Telecom sectors in Kerala and Thamilnadu. First Personnel is better recruitment agency in Melbourne to help you to get prepared for the interview with the help of professionals. The P-7 system uses seven factors that either enable or disable effective execution. The analysis questions change, but the factors remain constant as you move from coaching a direct report to analyzing an entire organization. Or from peer collaboration issues to a project team that's floundering.